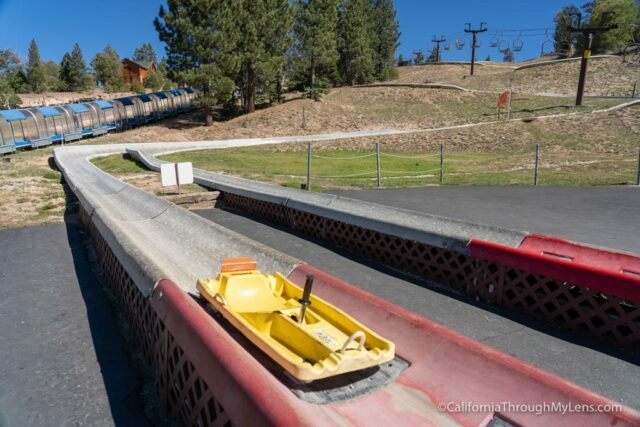 The Alpine Slide has been a fixture of Big Bear Lake for decades, and to this day it provides an excellent opportunity for people visiting the area to try their hat at a bobsledding experience. I have driven by it many times over the years but never had a chance to stop until late 2018. 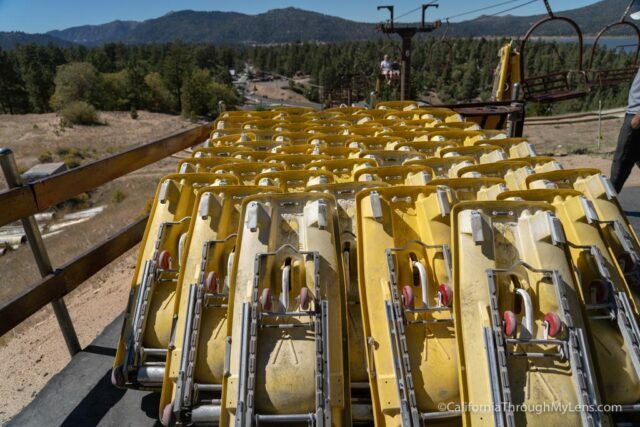 After riding it, I can easily say that I will be back as it was a total blast, and the $6 per ride is a well-priced attraction for the whole family. 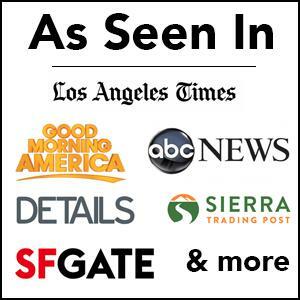 Here is all the information you want to check it out as well. Hours: Changes with the season, more info here. 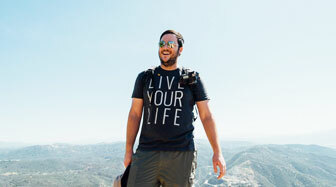 Most people head up Highway 18 in order to get to Big Bear Lake. If that is the way that you go, then you will see the Alpine Slide on the right-hand side just before you get into the city itself. There is a large parking area right next to the building. 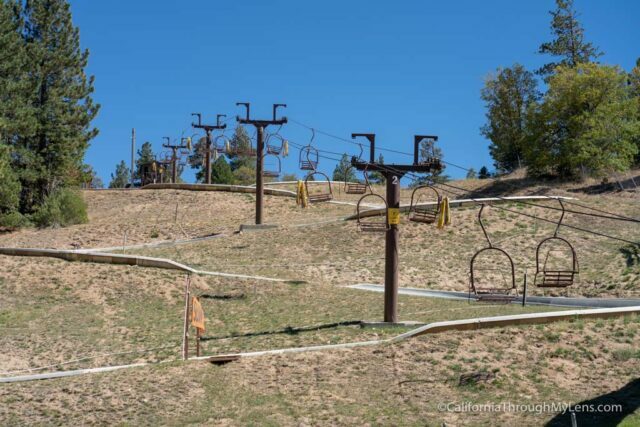 After getting your tickets and signing the waiver, you will head over to wait in line to take the lift to the top of the hill. 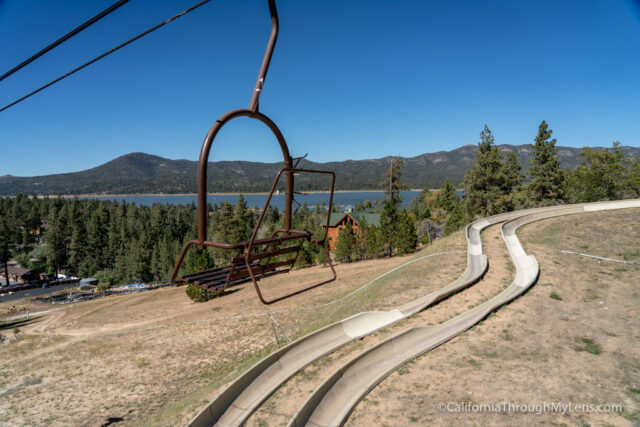 The lift is fun by itself as it is an old ski lift and you can watch people going down the slide as you make your way up. 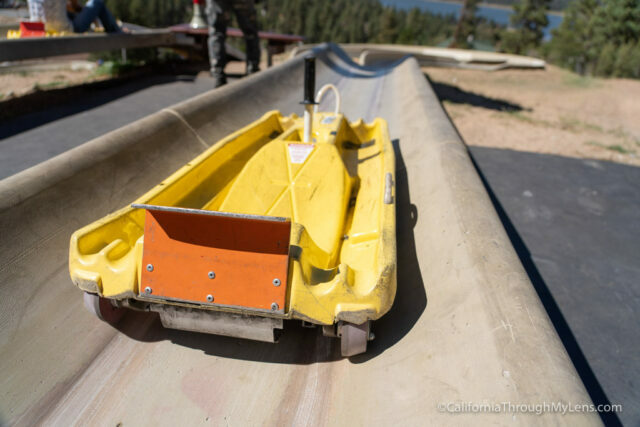 When you get to the top, you will grab one of the plastic cart-type things that you ride and pull it over to the start of the slide. There are two sides, one for slow riders and one for fast but I think they both are exactly the same based on my rides. After demonstrating to the worker that you can use the brake, you are let loose on the track. 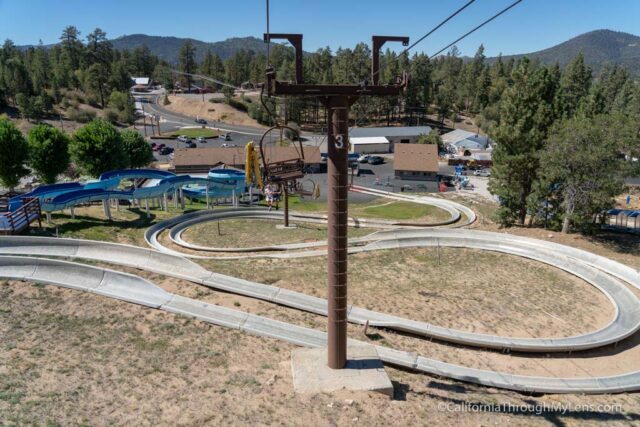 The ride is exhilarating as you barrel around the cement track and make your way down the mountain. They said you could reach speeds of up to 30 MPH when you are on the slide as well. It does get going pretty fast, and when I went around a few of the corners, I had to slow down as I was worried my weight would take me over the edge. It is a blast though, and I rode it three times because every time I finished, I just wanted to do it again. 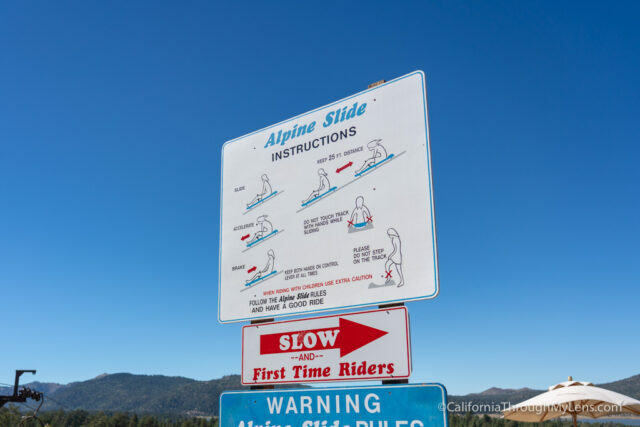 Here is a short video clip of my time on the slide so you can get a feel for it. 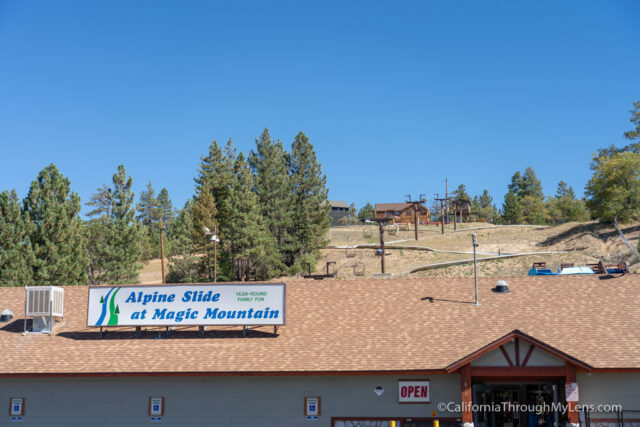 All in all, this is a great family adventure in Big Bear Lake. Be sure to check it out next time you are in the area and let me know what you think in the comments.